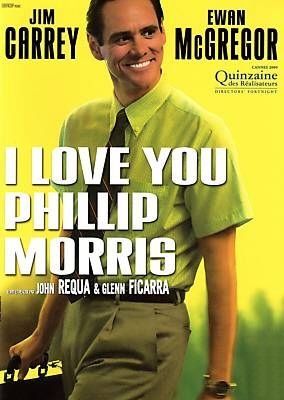 "Today we have a new international poster for I Love You Phillip Morris featuring a rather geeky looking Jim Carrey." "Snakes! Why it had to be snakes?" Hey, I saw that one a few months ago when they interviewed the directors. It was on the background. 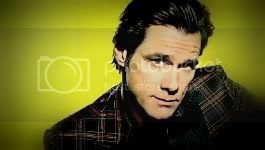 So I wonder ... this was before the promo-guy that did 'Benjamin Button' and 'No Country for Old Men' came in. Will this still be used? I think it's ugly and not much telling about the movie. But thanks for the news anyway. And they hire professionals, why? and it's not fair to Ewan. I think HE should be on the poster too! I think it's deliberately not revealing anything about the film Bearing in mind they had a hard enough time securing distributers, my guess is this is the compromise, play the gay theme down in the publicity. I'm pretty sure there isn't much compromised thanks to the distributer that picked up the movie. That distributer has his middle finger pointing at Hollywood. Again, this is a poster that was out there before the new guys came in. Don't know why it shows up now. Maybe because it's a poster for all the other countries out there, where the movie is coming out right after this summer? Maybe the promotion for America ain't starting yet. Now I see this poster is created by Dimitri Simon. You can see his work overhere. So now I'm sure this won't be the final poster. Maybe not even a used poster. I guees it will only be used in France by EuropaCorp since they used it at the Cannes Film Festival. CPG has added it on their website, but guees its until they begin with their promotion. grinchy steve wrote: Now I see this poster is created by Dimitri Simon. You can see his work overhere. So now I'm sure this won't be the final poster. Maybe not even a used poster. New international poster. This one from Russia. See it in bigger resolution in the Gallery.